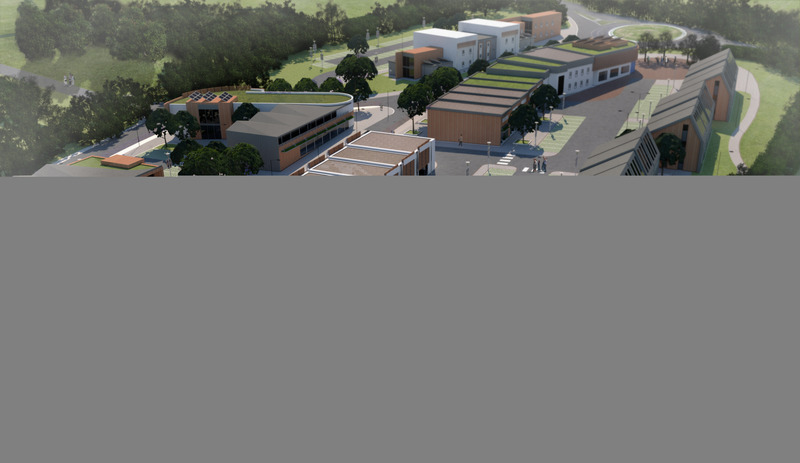 Plans for the development of Penvose Student Village are moving forward following Cornwall Council’s backing of the 2,000 bed scheme. After gaining approval at the strategic planning committee in February, the Penvose team has been getting everything in place ready to break ground. The scheme, which will sit between Treluswell and Treliever roundabouts, will provide 2,000 bed spaces, a new home for Penryn Surgery, business and start-ups units, a hotel, shops, restaurants and park and ride. 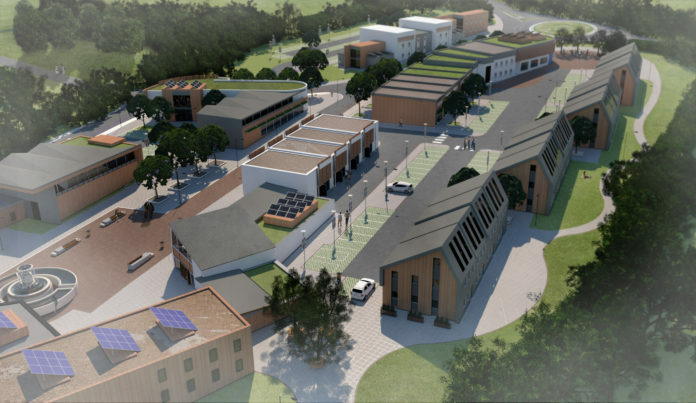 Mark Dawes, from CAD Architects, who is working with the development company behind Penvose Student Village, said: “Once a scheme, like Penvose Student Village, has been approved there is an often expectation that construction work will begin immediately. “We’re keen to get the project underway to help solve the student housing crisis in Falmouth and Penryn, and have had a busy two weeks since Cornwall Council voted 12 to 2 to approve our scheme. The Penvose team believes the site will alleviate the growing number of student HMOs (houses of multiple occupancy) in Falmouth and Penryn. Information from Cornwall Council’s 2017 Council Tax figures show there are currently 1396 student HMOs Falmouth and Penryn compared to 650 HMOs in 2007. Student accommodation now accounts for 58% of the rental market in Falmouth and Penryn and almost 10% of all homes in the towns are now HMOs. this scheme hasn’t contemplated the impact of moving the surgery will have on the elderly and infirm in penryn. creating a student area will alleviate the hmos only if the students can use these for the duration of their uni stay. this should not be a lever to expand the uni further. if you talk to the people of penryn they don’t want the surgery moved. public consultation hasn’t taken account of this or has asked the wrong people. this is another corporate twisting of uses to increase the uni size. the car park isn’t used because he students need to pay – this has caused issues around the locale. either reduced remove parking fees or use the car park for long term student accommodation.